It's probably not the best news to hard-core Stephen King fans that I like what I've seen of Castle Rock, the J.J. Abrams-produced Hulu series that's set in one of the fictional Maine towns King has so creepily populated. Because I'm the kind of viewer who tends to like the TV adaptations of King's stories right up until the moment the otherworldly horror really gets going, and I've seen four episodes of Castle Rock, the first three of which will premiere on Wednesday, July 25. It's not uncommon for locations to be described as "another character" in a show, but in this one, the town is the show, drawing together the threads of a number of King's stories to form a new one, filmed in Massachusetts, but looking Maine-ish enough to this summer visitor. 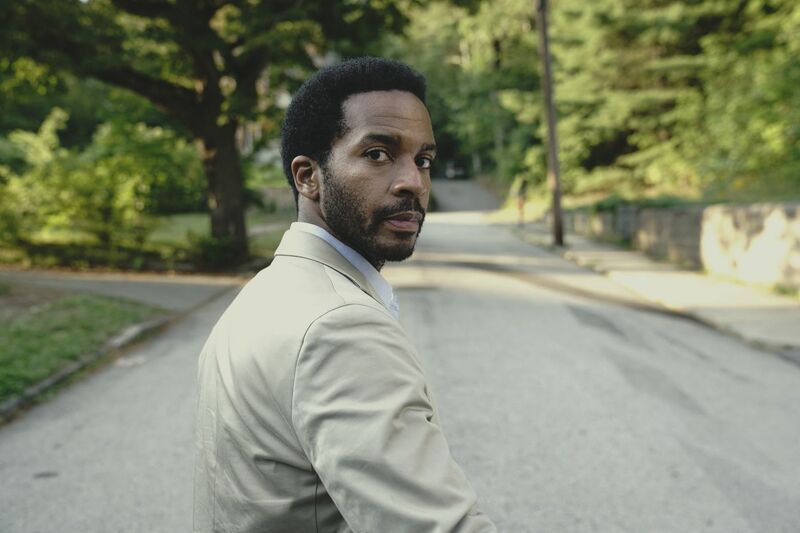 André Holland (The Knick) stars as Henry Deaver, a lawyer specializing in death row inmates — apparently hopeless cases, since all his clients are dead — who is brought back to his hometown by a phone call from a guard (Noel Fisher, Shameless) at Shawshank State Prison (even I got that reference). The mystery guy can wait (and wait he will). Deaver's more immediate concern is the decline of his mother, Ruth (Oscar winner Sissy Spacek, King's iconic Carrie, teeing up another Emmy nomination). A widow, Ruth is living with former Castle Rock sheriff (Scott Glenn) Alan Pangborn, a recurring character in King's stories, and the man who not incidentally found Henry when he mysteriously went missing as a child. What's happening to Ruth is a kind of everyday horror. Seeing Henry, she tries to put him at his ease, saying, "I'm not like the others — I adopted a black son," unaware, at least until he points it out, that she's looking at him. Real estate agent Molly Strand (Melanie Lynskey), a childhood neighbor of the Deavers', is dealing with challenges that go beyond trying to revive a dying downtown and off-load properties that may or may not be haunted. And while at least one of her issues makes her a Castle Rock natural, her drug habit, sadly, just screams America 2018. So, probably, does the town's suspicion that Henry is somehow responsible for his father's death. Which doesn't mean he couldn't be. With a cast like this, and appearances by such people as Lost's Terry O'Quinn, Six Feet Under's Frances Conroy, and Fargo's Allison Tolman, I could happily, or at least peacefully, spend a few more weeks getting to know the ordinary, horrifying day-to-day lives of the people of Castle Rock, Maine, without ever learning whether the creepy-looking guy up at the prison will unleash further evil upon a town that's had more than its share. Don't worry: There's no way Castle Rock is ever going to give me that. Castle Rock. First three episodes premiere on Wednesday, July 25, Hulu.